Fresh is best! 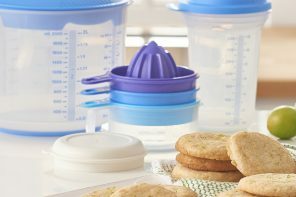 Tupperware Consultant Laura McComas is sharing her family’s favorite lemonade recipe for all of us to enjoy this summer. Of course, you can adjust based on the size of your get-together, just like Laura did when she made it for her girlfriends at a recent Rally! Using the Press Master® Juicer, squeeze juice from each orange and lemon half into a bowl. Pour the juice into a 2-Qt./2 L Pitcher, add sugar and fill the rest of the way with water. Stir until sugar dissolves. Best served chilled. Laura McComas is a Tupperware Consultant from Branchland, WV. Love it…thank you so much for doing this.